OPINION: Alaska's missile defense system is no substitute for engaging in the difficult work of diplomacy. At a remote site in Interior Alaska, 40 rockets in underground silos stand ready for launch, each topped with small spacecraft that could be called upon to attempt a miracle of engineering and physics. If and when a network of sensors detects that North Korea has fired a ballistic missile at the United States, commanders will have about 10 to 15 minutes to respond with orders to fire rockets from Fort Greely. The three-stage rockets, which cost about $75 million each, do not contain warheads but a 120-pound spacecraft designed to ram the incoming missile while traveling at thousands of miles per hour. When the last stage of the rocket burns out, the spacecraft uses onboard motors and infrared sensors to home in on the target. The craft is officially known as an “exoatmospheric kill vehicle,” but think of it as a smart rock or the world’s most expensive blunt force object — consisting of 1,800 unique parts that require 10,000 pages of work instructions. A collision about 450 miles above Earth at a closing speed of 22,000 mph will destroy an incoming missile as sure as any explosive — if all goes according to plan. And things have to go according to plan, because of the speed, the distance, the size of the target and the incentive for North Korea or any other nation to use inexpensive decoys to confuse the kill vehicle sensors. A tiny navigation error means the ballistic missile proceeds to its target and a nuclear war begins. The complexity of stopping a missile this way is hard to fathom. It has often been compared to hitting a bullet with a bullet, or scoring a hole-in-one when the hole is moving at 22,000 mph. The steadfast belief that the U.S. can preserve national security by rocket power, while efforts at diplomacy are given little attention, is one of the dangers facing the Arctic and elsewhere in the Trump era. While the U.S. has no ambassador to South Korea and seven of the nine top jobs in the State Department remain unfilled, the clamor for spending billions more on missile defense gathers momentum. The proposed Trump administration budget includes $2.3 billion for the Ground-based Midcourse Defense program, with money to build a new missile field at Fort Greely and add 20 more rockets by 2023. The system is centered in Alaska not because the edge of the Arctic the ideal place to defend the Lower 48 states, but because the late Sen. Ted Stevens and the late Sen. Dan Inouye forced Pentagon planners to ensure that all of the territory in their states would have some protection. The one place from which all 50 states could be covered was Alaska, which is why the rockets are not in North Dakota. A New York Times editorial recently referred to the “dangerous illusion of missile defense” and the habit of overselling its effectiveness. Neither technology nor diplomacy alone is foolproof, yet the pressure on Congress and the White House is not to emphasize negotiations, but to trust in hardware that grows more expensive and complicated by the day. Along with four missiles in California, the interceptors in Alaska are a key ingredient in a missile defense program that has cost American taxpayers $40 billion and counting. 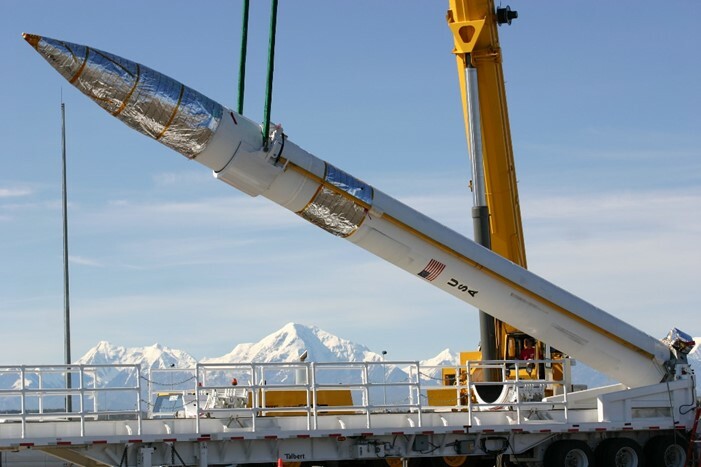 One of the constants since even before the first rocket went into the ground in Alaska 14 years ago has been the assurances by promoters in the government and military contractors that the system will work, despite numerous test failures. It’s clear the tests have been scripted in ways that allowed for a greater chance of success. There has never been an aggressive attempt to create targets with countermeasures designed to trick the kill vehicle sensors. Think of a flying field of space junk with multiple decoys that can be launched with a single missile—one of the worst nightmares for anyone counting on a high-speed intercept. It has been acknowledged for years that the kill vehicle needs to be made more reliable — new ones can’t be built because the parts are obsolete — but the revised model won’t be finished for years. In an analysis of a successful intercept of a target missile last spring over the Pacific Ocean, the Union of Concerned Scientists concluded from information released by the Pentagon that in a real-world test the target would be harder to hit and there would be decoys to confuse the system. The debate over testing and effectiveness began long ago when the U.S. installed the first missiles and announced in 2004 that they provided “limited” protection from North Korean missiles, never saying exactly how limited. A senior Bush administration official told Congress three years before the system was made operational that it would be 90 percent effective. That was no more supported by engineering and test results than the claim last fall by President Donald Trump that the system works 97 percent of the time. Robinson said that North Korea has placed an emphasis on missile capability, not on the number of missiles it can launch at once. “Because, when we sit back and look at what Kim Jong-un has done, he’s looking at capability. You and I talked about this. But he hasn’t built up capacity yet. And so, right now, our capacity is very good where we are and as we continue to move forward,” she said. What this seems to mean is that with 40 interceptors in Alaska and four in California, multiple missiles can be launched to improve the odds of stopping a North Korean volley. “I’m very comfortable. You know, one of the things that I say about Kim Jong-un all the time is that he’s not afraid to fail in public. You learn as much from failure as you do from success,” Robinson said. I would be very comfortable with the system if there was any evidence that it could counteract whatever decoys are added to confuse the kill vehicle sensors and if we had a handle on the ultimate cost. The trouble is, the system was declared operational without in-depth testing and the military, politicians and defense contractors have every reason to fall back on the idea that something is better than nothing. That’s not true if the “something” bolsters a false sense of security and leads the U.S. to neglect the difficult but essential work of diplomacy.